Introduction and alternate hymn accompaniment for piano, with optional handbells (2 octaves, 5 bells used) to start, and optional percussion. In lieu of handbells ms. 1-7, use other C instrument or piano. 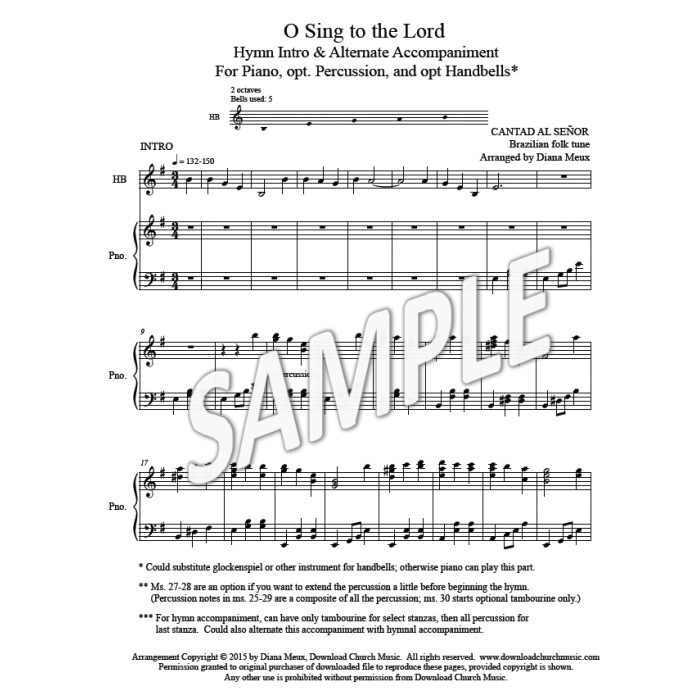 Can alternate the hymn accompaniment with hymnal accompaniment. Other option if you have a pianist and organist: Use this for Intro and Stanza 1 with choir singing melody, then use hymnal accompaniment with organ the remainder of the stanzas, with a Piano Descant and all percussion for Stanza 5. 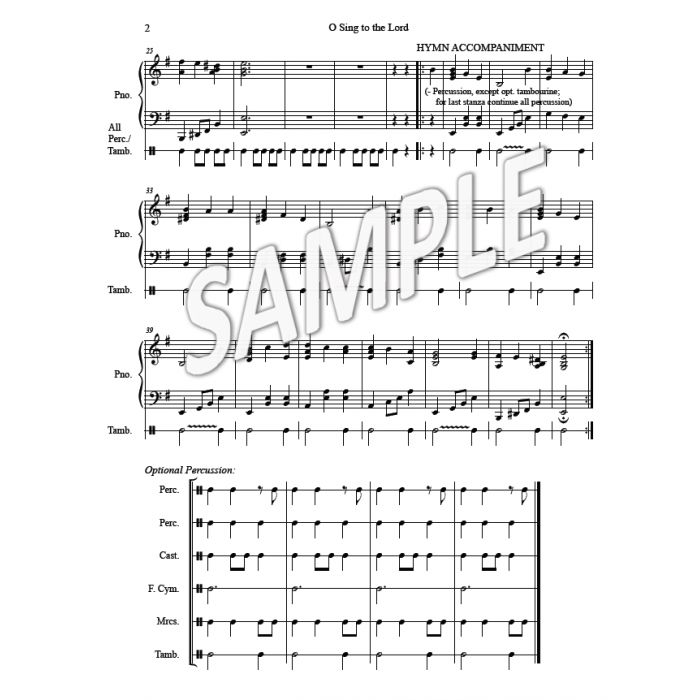 Instrumental For piano, optional handbells or C instrument, optional percussion. 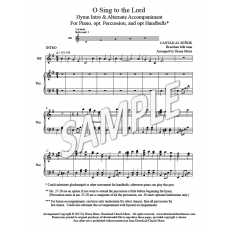 Hymn stanza Can use hymn accompaniment as an alternate hymn stanza with choir singing the melody. Creative Introduction and alternate hymn accompaniment.